Last night Jake and I went with a few friends out to dinner and the movies! It was super fun! We went to a hot dog joint and got chili dogs and onion rings! For the movies we went and saw the new Mission Impossible movie! When we were getting ready for our date night, I knew going to the hot dog joint could be smelly, so I made sure to wear clothes I could easily put in the washer! When I was going through my closet I found these Jessica Simpson Wedges that I forgot I had! I forgot how comfy a wedge can be for wearing all evening! I think I will be wearing these wedges a lot more often now 🙂 Also, they are only $79 and come in black too! 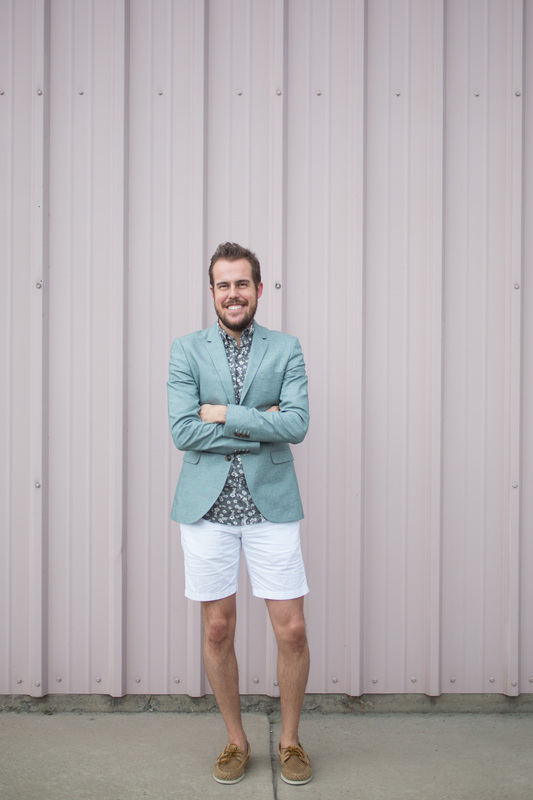 Jake loves Jcrew for year-round shopping but loves getting most of his summer clothing from there. He loves their short sleeve tees and shorts! 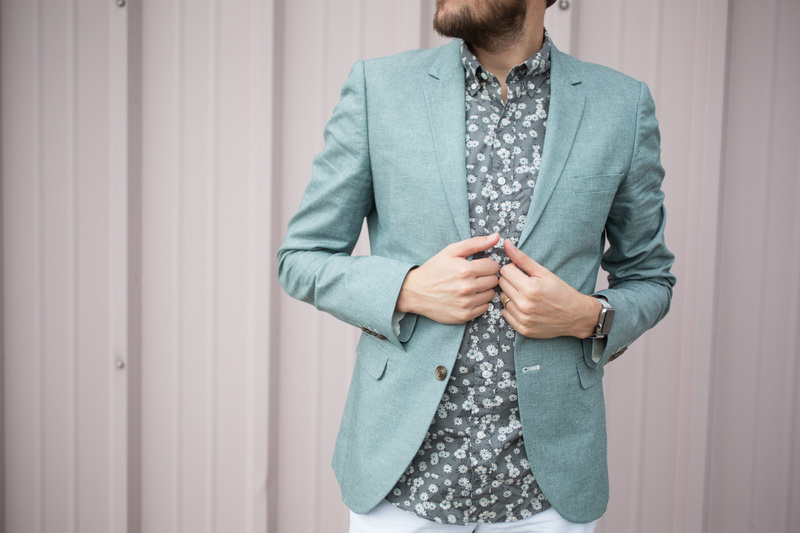 He loves how they are easy to pair with a blazer to dress up a look. 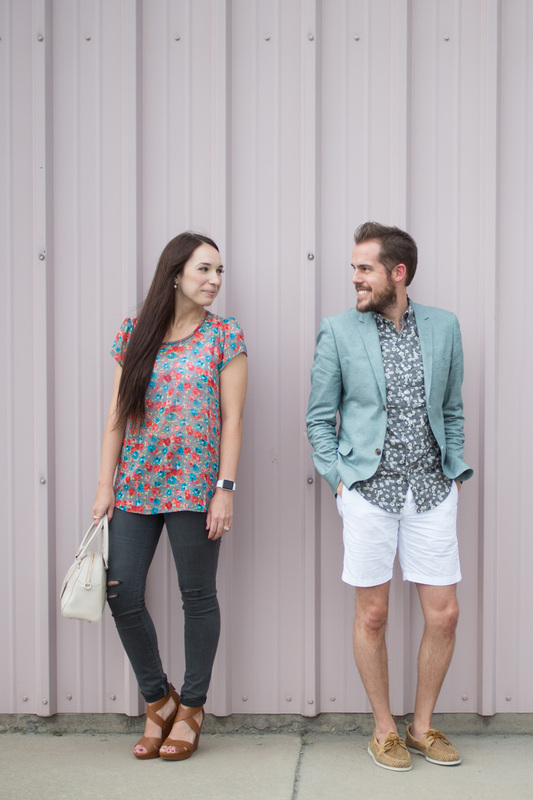 Also they always have fun prints and colors which make summer clothes a little more fun! Last night was so windy and rainy out I think summer time is starting to come to a close here. We are going to get the most use out of our summer clothing these next few weeks before we start to pack up summer clothing and get ready for fall time! Love the floral shirts and Jake's jacket is incredible! Have to check out that movie soon! I just love how well you guys match. The floral shirts are amazing! 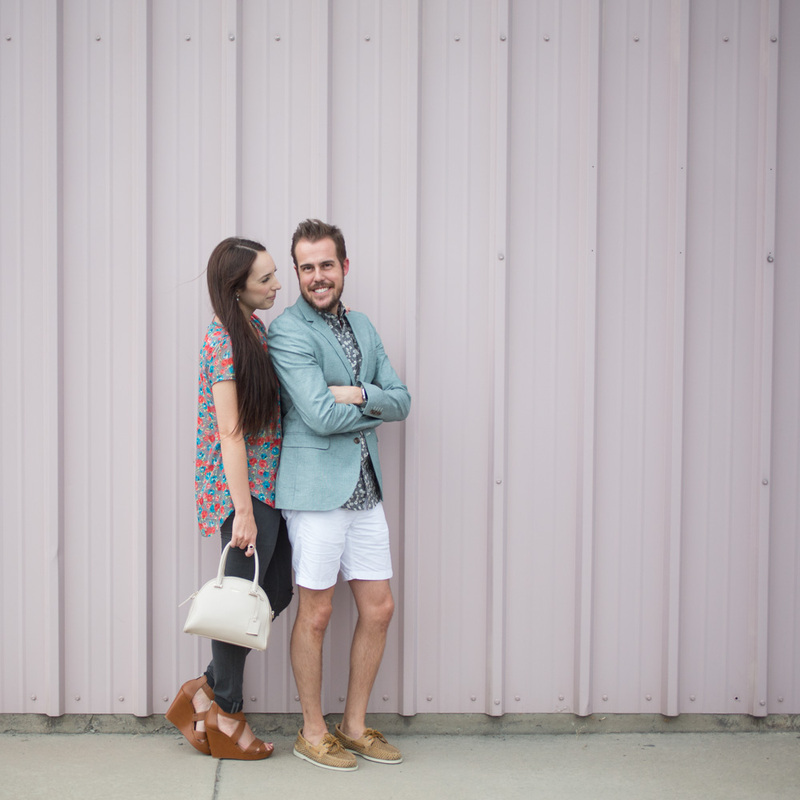 What great casual date night outfits! I've been looking at those jeans for so long but haven't taken the plunge yet, I really should for the fall. I love those wedges every time I see them! I'm only struggling to decide whether I can justify another pair! Also love your lipstick choice! I will have to check that out in person to see if it looks as good on my coloring! Happy date night!! I think wedges were made for casual date nights!! This is so cute! I love the bag. Such great, effortless looks for both of you! I love both of your outfits! 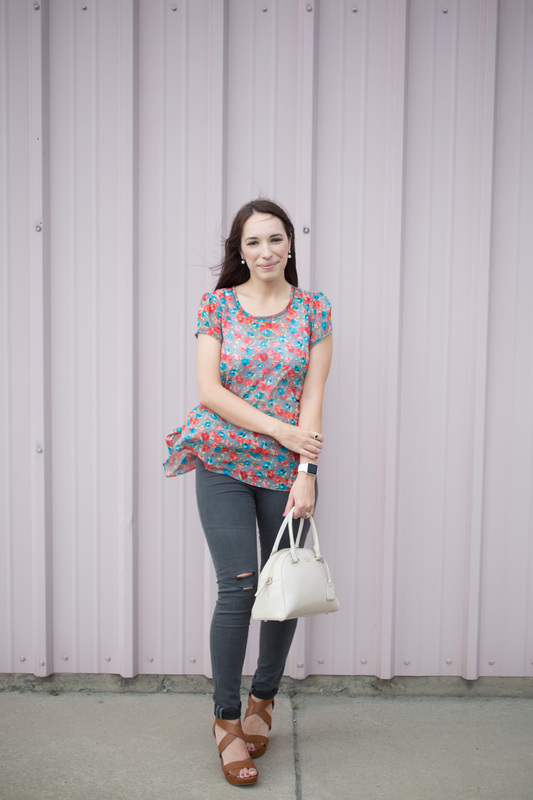 That floral top is gorgeous! Both of y'all look great! Love the chic and simple outfits. You two look very cute! oh my gosh, you guys are so cute. love your wedges. Wow you guys are literally the most fashionable couple ever! What lovely outfits. I love your shoes, and I love his shirt and blazer. I am glad you found and styled these wedges, they look so cute on you Kelsey.